Hamilton Barbell was originally created to accomplish a social mission: to get more people fit by way of barbell training. 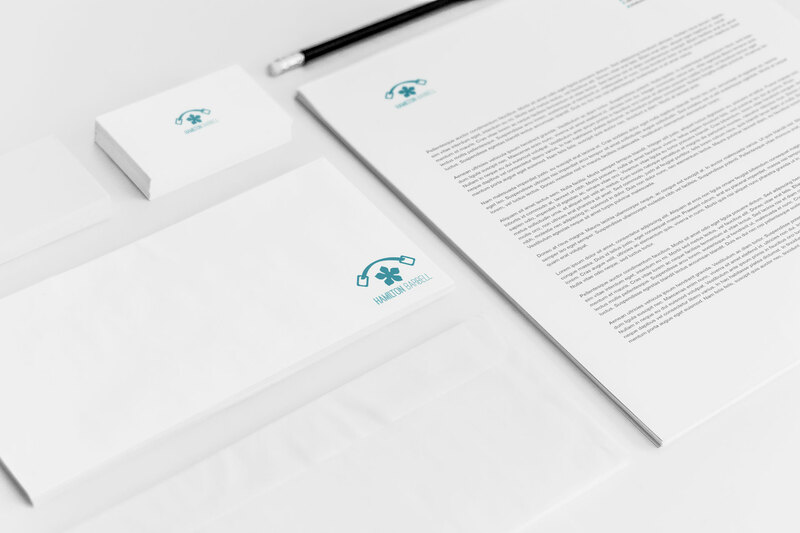 We think it’s important to create a brand that communicates what this mission means to us. It is obvious in retrospect, but Hamilton Barbell wasn’t the first choice. Initially it was tempting to follow the ‘epic name’ path (using words like Elite, Machine, Victory, etc). These types of names evoke a certain perception of the culture – a focus on hard work and high performance. Since we have a broader community goal, however, these words did not feel inclusive enough. Hamilton is Steeltown; the Hammer – again, very industrial connotations. It is also known as the Ambitious City, and that’s something that was fun to work with. 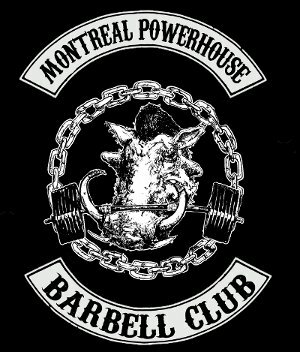 There are a few sketches floating around for the Ambitious Barbell Club (ABC). 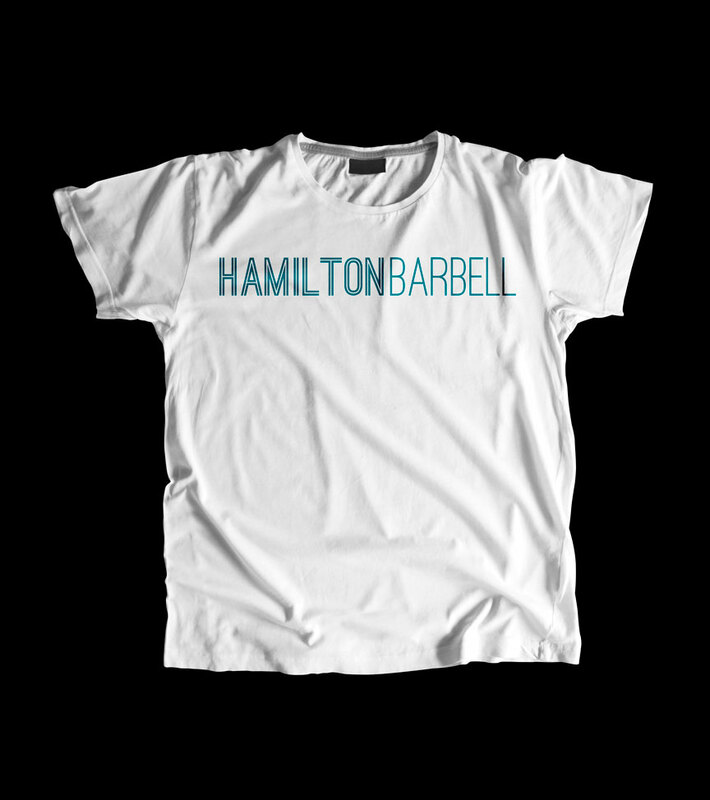 In the end, the choice came back to the most simple: Hamilton Barbell Club. Then we made it simpler: Hamilton Barbell. Work for the logo happened in tandem with picking a name. In fact, the creation of our current logo is what sealed the deal for the name – they just worked well together. During research, I found that many barbell club logos are aggressive, bold and retro in nature to represent how intense they are. Research led to the cinquefoil (translates to ‘five leaves’) – a marque of Clan Hamilton which is found on the city’s flag and coat of arms. 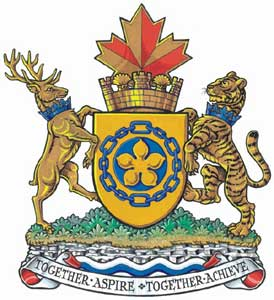 The links around the cinquefoil represent the city’s neighbourhoods. Using the cinquefoil as the focal point, a broad stroke connects two links – now weight plates – into a barbell shape. The logotype process was similar. When looking at existing logos, the font choice was usually large and bold, sometimes with a vintage feel. I looked for a lighter font that still packed a little impact. The search took me to the League of Moveable Type and the Ostrich Sans font-family. A balance of modern and classic combined with an open license? Sign me up. My first thought was that a gold/yellow logo won’t print well on white paper, so it would always be tied to a background colour. The gold did convey a very happy mood so we didn’t want to lose it altogether – instead we determined a colour scheme that remained lighthearted and that would work well behind a gold logo, or work as the primary colour itself. Generally speaking, a brand’s visual identity is the overall look of its communications. Consistency is key when using elements to create distinction, such as specific fonts, colours, and graphics, including the logo. The barbell is a constant, acting both figuratively and literally as an umbrella, under which the organization can put their unique mark. The type is simple, with the location emphasized with a different stroke. You can see that the order of words is a matter of preference; yet all logos are clearly from the same family. This consistency translates well over mediums. This was a very exciting project to work on. 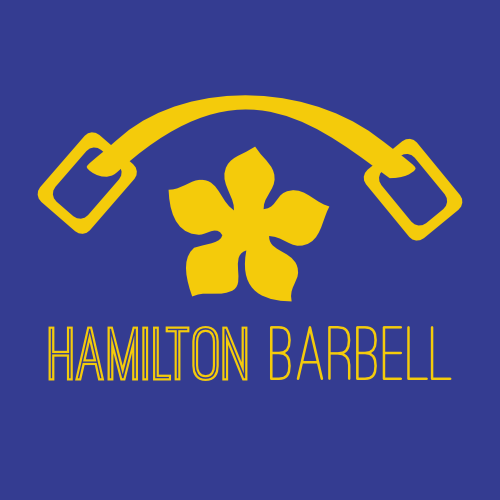 I feel like the logo is successful in representing Hamilton and strength training in a clean, modern and approachable fashion. Of course, a lot of hard work remains to build it into a respected brand that evokes quality and community – and I’m looking forward to that journey too.